Travel from meeting to meeting armed and dangerous with your choice of a bag that suits your personality. Some guys like big duffle bags because they are always on the road and carry their lives every where they go. Some guys just like to have a bag that’s not as large but big enough to carry their important paperwork and a tablet. 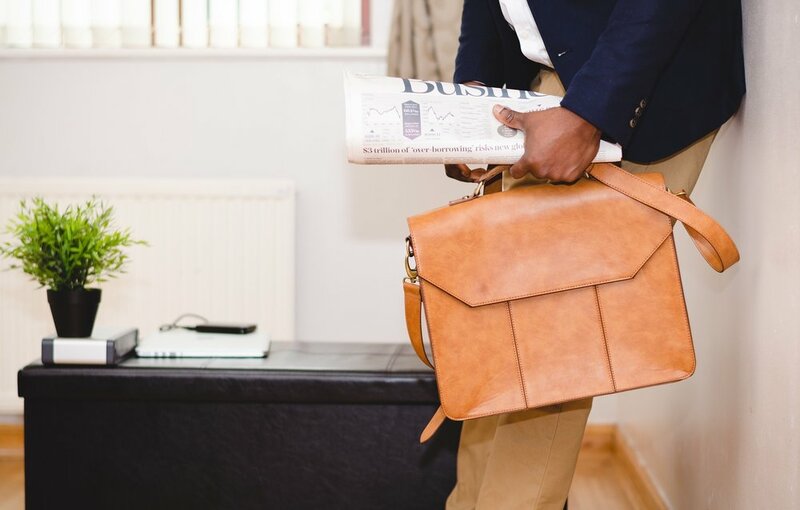 Some may be finishing a master degree and have books to carry while others in the corporate world might need to carry a laptop and other important documents. Today, there are fashionable backpacks that fit the bill for your everyday use. No matter what you're carrying, it’s important to be mindful of your since of style. A bag can make a statement for you. It can definitely say you’re a well organized person. Finally, it can be a sign that you mean business!